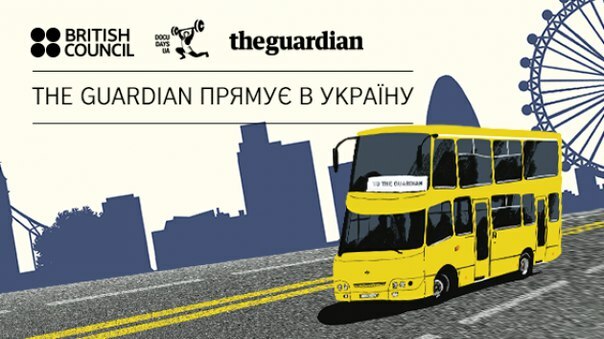 On October 1 has started acceptance of applications for the competition “The Guardian goes to Ukraine”. This is all-Ukrainian competition of documentary projects from the most influential British edition together with Docudays UA and the British Council in Ukraine. For the participation in the competition are accepted modern histories related to social transformations and new developments in the country which can be shown through the unusual characters and attract the widest possible range of audiences around the world. The duration of each film must be up to 15 minutes. Six documentary projects will be selected for pitching at Docudays UA 2016 and presented to the expert council. Three winners will receive a production support and cash prizes for the creation of their films: up to 5,000 British pounds from The Guardian, up to 3000 pounds from the British Council, up to 3000 pounds from Docudays UA. To participate in the competition can citizens of Ukraine under the age of 37 years with the experience of making a documentary film, with interesting ideas of documentary short film about the realities of modern Ukraine and the desire to bring them to life. Besides, knowledge of English is required at a level not lower than B1. To send an application is possible till February 15 on the websites www.britishcouncil.org.ua and www.docudays.org.ua. From February 15 till March 1, the expert council will consider the applications. And on March 1 the names of the six finalists will be released. The filming of film-winners will be in Ukraine, installation and post-production – in London, on the technical basis of The Guardian. Finished films will be published on the website / portal The Guardian documentary. The Guardian documentary is online platform of documentary films which is daily visited by millions of people. The Guardian documentary also produces films and looks for new stories that differ by skill narration and vivid characters. This time the searches of stories take place in Ukraine. Previous articleWhen Kharkiv patrols can “forgive” the offender?